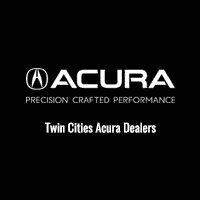 Not only does the 2018 Acura TLX performance sedan boast an aggressive, sporty and alluring look, it includes new premium features and technology enhancements that place it among the most advanced and well-equipped midsize luxury cars in its segment. Restyled Alcantara and perforated leather seats offer grip as you accelerate through corners with available Super Handling All-Wheel Drive. Contrast stitching and piping excite your senses, while offering luxury. The world's first Precision All-Wheel Steer system on a production vehicle changes the game for front wheel driving, independently adjusting the rear wheel toe angles for increased agility and stability while cornering, changing lanes or braking. To boost fuel efficiency, Econ mode dials back climate control and decreases sensitivity to minor throttle changes for consistent speed. Apple Carplay and Android Auto place a hub of digital resources on the TLX's built-in display. Get directions, send or receive messages, and listen to music right from the touchscreen by voice with your phone. Acura's goal is to help create a zero-collision society, and the AcuraWatch suite of advanced safety and driver-assist technologies keeps the TLX in line with that vision. It's designed to improve awareness, assist with avoidance and help mitigate impact.